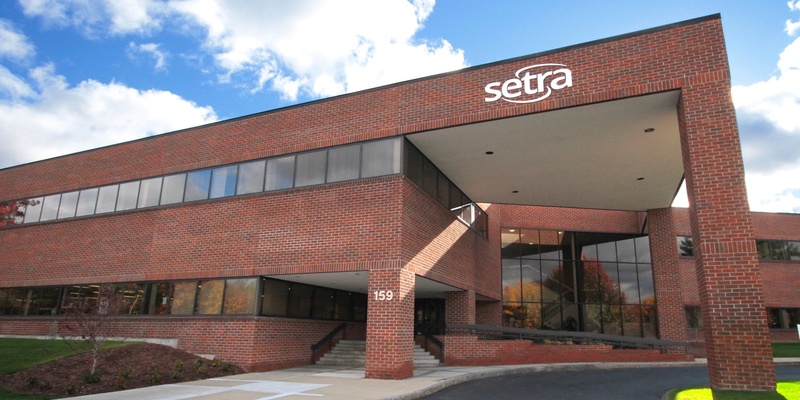 Setra Systems, Inc. was founded in 1967 by brothers Dr.Y.T. Li and Dr. S.Y. Lee, both professors of engineering at the Massachusetts Institute of Technology and co-developers of the variable capacitance transduction principle. Building on this heritage of innovation, we continue to design and deliver sensing devices for many diverse applications and industries — innovating solutions for HVAC & building automation, industrial OEM, test & measurement, and critical environments. Since 1996, our corporate headquarters and primary production facility has been located 25 miles northwest of Boston in the town of Boxborough, Massachusetts. Setra is part of the Fortive group of companies, a diversified industrial growth organization based in Everett, Washington with 24,000 employees worldwide. The Fortive Business System (FBS) is the cornerstone of our culture and our ultimate competitive advantage. It drives every aspect of our work, our strategy and our performance. We use FBS to guide our decisions, measure how well we execute and develop innovative ways to do even better. 1967: Founded by brothers Dr. Y.T. Li and Dr. S.Y. Lee, professors of engineering at MIT. 1977: First ultra-high purity (UHP) product produced (Model 212). 1978: First industrial product produced (Model 205-3). 1979: First wet-to-wet transducer produced (Model 228). 1981: First barometric product produced (Model 270). 1983: First HVAC product produced (Model 261). 1995: Revolutionary “squashed” sensor developed. 1996: Boxborough, MA facility opened. 2002: Acquired Dolan Jenner Industries, producer of fiber optic illuminators. 2005: First low pressure calibrator produced (Model 869). 2014: First power meters produced (Power Patrol & Power Squad 24). 2016: Became a member of the Fortive family.